Fun photo Mike. 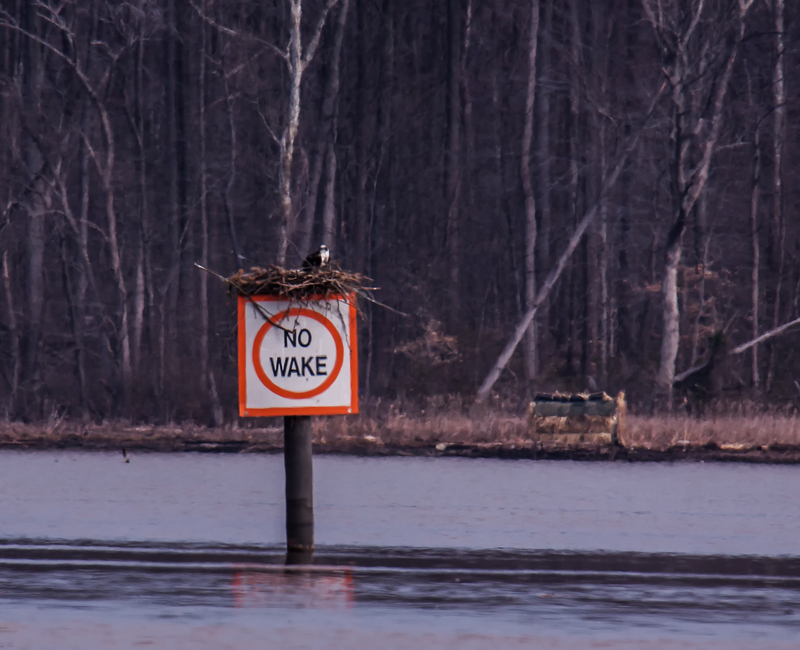 I like the sign, your comments, the beautiful Potomac; and I agree with you, looks a little narrow for one of their massive nests. Thanks, Jet. I have a quirky sense of humor and realize that many folks will not “get it.” Have a beautiful weekend. Amusing photo, Mike. Once the chicks are born, there will be little sleep! Like all parents, the ospreys will be busy. The good news, I think,is that both parents stay around. With some of the ducks in my area, the Dad disappears and the burden falls totally on the female.